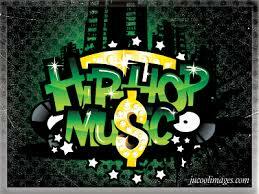 #HipHop101 #Music #Promo, Do your homework BEFORE spending! Greetings folks… For my readers that are also Twitter followers, my infamous random Twitter rants are no surprise especially as it relates to the independent artist. There is nothing I can’t stand more then a liar and a thief. I have found throughout my time in the music industry that most people are in this business to get money and a good number of them will do it by any means necessary, even if it means misleading people (such as yourself) that don’t really have a whole lot of money, don’t know any better, are just starting out, and aren’t the kind of people that have money to lose. Most people (from my experiences) can’t afford to be full-time in music. They have jobs, families, and bills so every dime they invest in their self needs to be a good investment. I give away a lot of information for free (quite honestly you would have to hire a Manager or Publicist to give you and sometimes even then you could be learning a very expensive lesson) because I don’t want to see anyone get robbed. I remember what it was like when I first started out. Music is expensive. I’ve said it before and I’ll say it again, when you’re involved with music (no matter what role you’re in) it’s expensive and for someone just starting out, you will spend thousands of your own money and realistically quite possibly not make a dime back. Even if you one day get signed to a major label, this will come after you’ve spent a significant amount of your own money and even then when the label is picking up the tab for your expenses, they take it back off the top with interest. However if you do it for the love and not the money? You’ll never be disappointed. With that being said, today I want to address the area of promotion especially purchasing online promotion for social media, radio spins, mix tape slots, and showcase performances. You have got to keep an open mind and have realistic expectations. You can’t “make” people like your music. The only thing you have control over is giving it your all, having it professionally recorded, mixed, mastered, quality artwork and the rest? Is going to fall where it may. When you are purchasing promotion services, you are hiring someone to do a specific task. The best you can hope for when investing your money, is that the person you employ delivers the work you hired them to do. You can’t hire anyone to give you plays, downloads, or purchases. If you’re looking for organic (natural, not purchased “plays” or “hits”) numbers the best you can do is make sure the person you hire is doing what you paid them to do and that you are hiring the right person. You have to have a budget for promotion. Period. 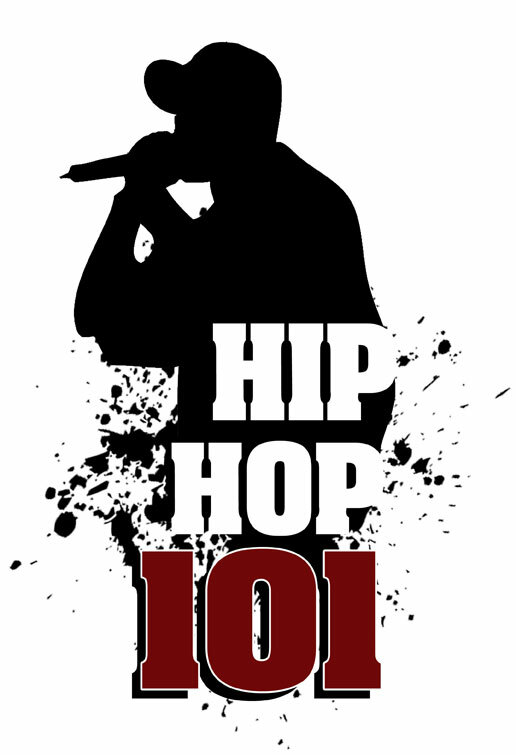 Once you have established that you are taking your music seriously and have dotted all of your I’s and crossed your T’s (check the Hip Hop 101 tab on this blog for other articles that lead up to the point where you’re actually employing promoters) you need to set aside money that is specifically for putting your music out there. I don’t care if it’s $20 a week, you need to have a budget. You also need to understand that the more money you spend on good promotion, the better your results are going to be. Ideally, you’d be able to hire a Publicist. This costs thousands of continual dollars and is a regular expense or staff person to an artist that has a fan base, buzz, and music income that warrants hiring a Publicist. You can hire one for a campaign (i.e. to release a debut album or mix tape) however, this is still going to cost you thousands of dollars. Just to give you an idea, some years back for a gospel artist, I hired a reputable publicist in the gospel music community for a Myspace/ Email blast and that one service alone for 30-days was $750.00 USD. 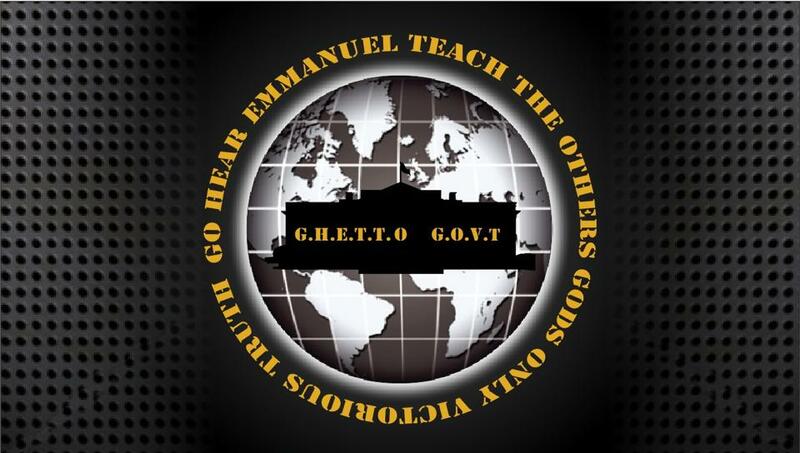 The artist this was done for was an established independent artist with an existing fan base in the gospel community and in his case the investment was well worth it because he sold a few thousand albums during the first month alone. If you are not an “established” artist / producer as of yet, spending that kind of money on a person with no credentials or existing fan base would more then likely be a huge waste of money unless of course you just hit the lotto and had the extra money to burn. DO NOT EVER pay anyone to perform. Ever. “Artist Showcases” are a hustle. You’re paying to perform in front of other people who paid to be there. The “A & R” from so and so records that’s also allegedly in the audience? Big, huge, fat joke most of the time. If you want to know who an actual A&R is for a certain label? Look it up. It’s public information. Don’t just believe something because someone told you, CHECK. There are companies that make ALL of their money taking yours. They book venues with club owners they have existing relationships with, you pay your own expenses to get to the show, you pay for your performance time, they give you a flyer with their logo on it that says you’re performing so you can post it on Facebook and feel like a rock star, and they split your money. Open Mic nights are usually free (with the exception of a door cover charge or a small entry fee) and if you make great music and can present yourself in a professional way, most small local clubs or bars will let you host your own show there during the week for a reasonable fee. You can also find out if there are local events already going on in your community and you can inquire about performing. This works the same way with a “prize” at the end. I know several artists from different states that all found themselves “winners” and no cash prize, radio interview, or record deal ever manifested after “winning”. Purchasing Mix Tape Slots is a great way to get your music out into other people’s fan base. You want to make sure that the slot you’re purchasing is actually geared toward the fan base you’re trying to target. 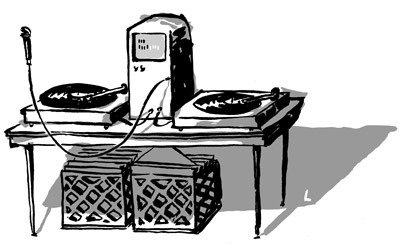 Placing your hip-hop track on a jazz mix tape would be pointless. Any mix tape opportunity that offers free slots is something you should jump on because it can’t hurt and it doesn’t cost anything, but these don’t roll around too often. How much can a slot cost? In all honesty a slot can cost anywhere from $25- thousands depending on the DJ or who’s mix tape it is. The higher it is in the ranks of fan base, reputable brand, and DJ the more it’s going to cost. In my experiences, you can get on a decent mix tape for $50-$150 and the good and great ones are going to cost you $500 & up. You want to ALWAYS do your research. I know too many people that have been robbed out of $10, $15, $25 for “mix tape slots”. You have got to cross check who you are doing business with! Who are these people? Who is the DJ? When you google them, what comes up? Do they have an actual website or were they trying to hustle you a slot in a direct message on Twitter? What other mix tapes do they have out? What are the numbers? Can you find previous projects on more then one site? Who’s on the mix tape? 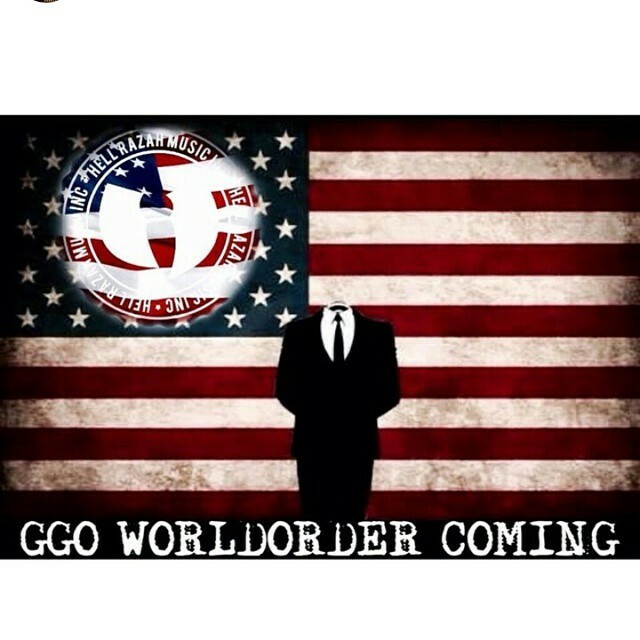 If they’re telling you Hell Razah (Wu-Tang Clan/ Sunz of Man) is on it, check his time lines, is he promoting it? This is a lot of work folks, but if you don’t have money to lose, you better do your homework. To launch a radio campaign on major radio stations costs approximately $100,000.00 for six months, possibly more. That’s how much it was last time I checked almost four years ago. This is why the artists you see on television and hear on the radio are people with millions of sponsorship dollars behind them (and why you constantly hear that real hip-hop is not on the radio). Your local radio stations may do certain segments in order to let local people compete in contests or be played on the radio but it’s not consistently unless someone is getting paid a large sum of money. Most college radio stations will play your music for free if it’s good or they have a radio show that supports your genre. The only way to find this out is to start supporting your local college radio stations and listen to their shows and figure out who you’d need to submit music to, the web site, and if there’s possibly any upcoming events that you could participate in. Most college stations though are going to tell you that your music has to be “radio edit” meaning profanity and illegal drug reference free (check with them about guidelines). You can also buy “blog talk radio” spins and don’t sleep on blog radio because it’s on the come up and some shows have huge followings. If you check my bio information on the front page, there’s a link to when I appeared on the Nikki Rich Show awhile back. If you aren’t familiar, Nikki has made quite a large following with blog talk radio, has always offered promotional services at a reasonable price, and has moved on to bigger things (check out her Instagram @ msnikkirich and side bar, this is exactly what I was referring to about doing your research on people before hiring them to do something). Check out the show though, find out how many listeners they have, if they feature someone is that person also sharing they were featured there? All of this validates the source and although of course nothing is guaranteed, you can cut down on the instance that you may get robbed simply by doing a little research. This isn’t rocket science folks, as I have mentioned above you have got to do your homework on people. I can’t tell you how may “Twitter promoters” I’ve seen that claim celebrities use their promotion services yet there is absolutely no evidence anywhere on the internet that they do. I’m going to use Hell Razah as an example again because it’s not a secret I’m affiliated with his movement and work for his label. If Razah has a new song and I promote the new song, Razah shares the promotion I’ve done so that his fans know that the promotion I am sending out is real. This is public information and can be cross checked on both of our social media accounts. When people “appear” to have millions of followers, etc. you have to check their time lines. People can purchase followers, re-tweets, plays, etc. You have to be very careful because there are individuals that sell these purchased services and loop people into their time lines only to hood wink them with a few robot followers and they’re basically taking your money to share your music with fake follows. Look at when people’s accounts were established, how old is it? How long have they been selling promotion? I sell promotion, occasionally. I say occasionally because I won’t send just anything through my time line for a few bucks. I value my fans and supporters and they click my links because I don’t give them garbage. I know in this respect not everybody agrees with me but they can keep their $100. I am a person that poured a lot into my brand and name and a few hundred dollars to me isn’t worth discrediting myself. There are good reputable people out there that sell real social media promotion, but you have got to do your research. Face Book and Twitter now both offer “boosting” for posts. I haven’t found it to be hugely effective, but it’s reasonably priced and at least you’re purchasing the service or boost from the site directly. Lastly, I want to mention manners. If someone takes the time to blog you, or share your music? Don’t forget to also promote the article or at least return the music sharing with a thank you or a shout-out. I can’t stress enough how important it is to respect people. You don’t have to be the best emcee, producer, or DJ in the world but in the digital age where everyone can just reach out and touch anyone on social media, the only fool-proof way to gain a following and real supporters is to be respectful and remain humble. Too many times people forget (mainly because of the trash they’re brainwashed with on the radio) that manners, honor, integrity, and respect will get you places money can’t buy. If you found something in this article helpful for you or someone else, don’t forget to share it! Best wishes in all your endeavors! 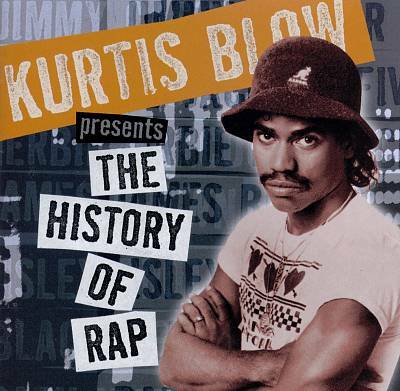 The Kurtis Blow is one of those names in hip-hop that when it’s mentioned, everyone just sort of pauses in homage. Even the 80’s babies know the name even if they can’t pin point exactly why they know it. 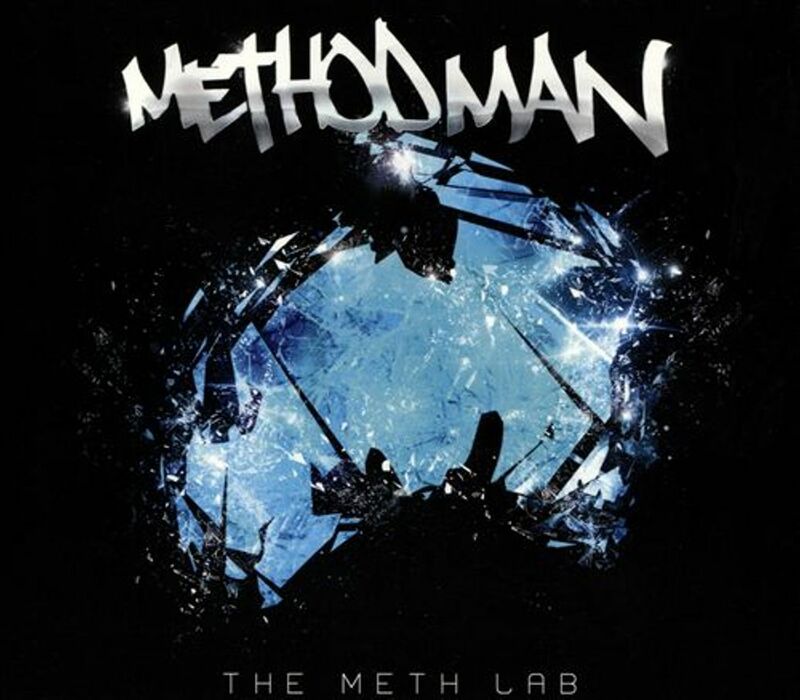 So for those who are unfamiliar (especially new comers in hip-hop), class is in session. 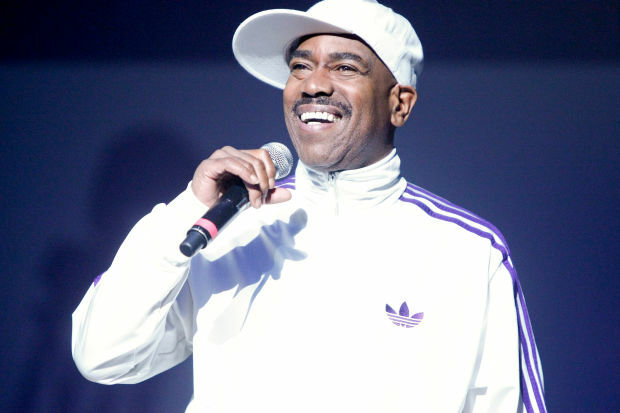 “In 1979, Kurtis Blow signed a deal with Mercury Records, making him the first rapper signed by a major label. His album Christmas Rappin’ sold more than 400,000 copies. 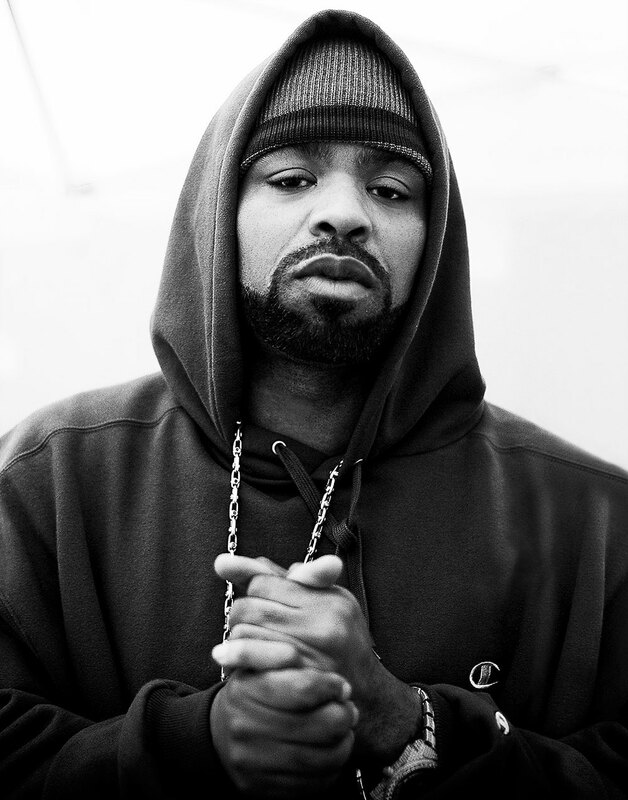 His follow-up album, The Breaks, went gold. He went on to release 10 albums over the next 11 years and also produced albums. Blow became an ordained minister in 2009 and founded Hip Hop Ministry.” (http://www.biography.com/people/kurtis-blow-5444) How many times have you said or heard someone say,”these are the breaks” or “those are the breaks” and they almost always do it with a shoulder shimmy and a tune? How many of you instantly think of Nas when someone mentions the song title “If I ruled the world”? Now you’ll know exactly where they came from if you didn’t before. Rapper and producer Kurtis Walker on August 9, 1959, in Harlem, New York. Blow got his first practice as a DJ in grade school, mingling with guests at his mother’s parties to take their music requests. By the time he was 13, he had a fake ID and was sneaking into New York City clubs to hear DJs spin their tracks. 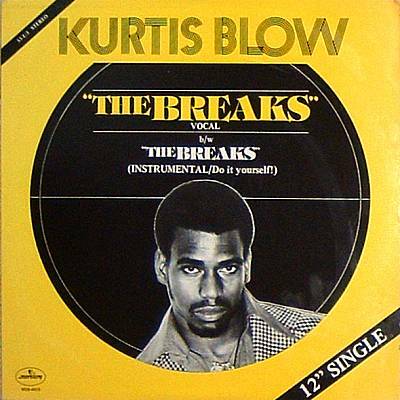 In 1975, Kurtis Blow enrolled in Harlem’s High School of Music and Art, but was kicked out for selling marijuana. He transferred to another high school, where he was soon caught selling the psychedelic drug PCP. Recognizing Blow’s intelligence, the dean gave Blow the chance to test for his General Equivalency Degree as an alternative to expulsion. Blow passed, and went on to study at New York’s City College. Blow was soon officially a superstar as well. He went on to release 10 albums over the next 11 years. 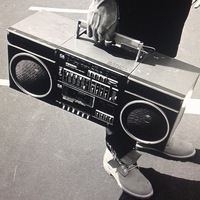 This included 1985’s America, featuring the song “If I Ruled the World.” The song cracked the Top 5 on the Billboard charts on first release, and returned (in sample form) a decade later when Nas’s version debuted at No. 1. Blow also produced albums for artists like The Fat Boys, Run-D.M.C., Russell Simmons and Wyclef Jean. His influence on hip-hop was so profound that rapper Run of the seminal trio Run-D.M.C. initially called himself the “Son of Kurtis Blow” when just starting his career. 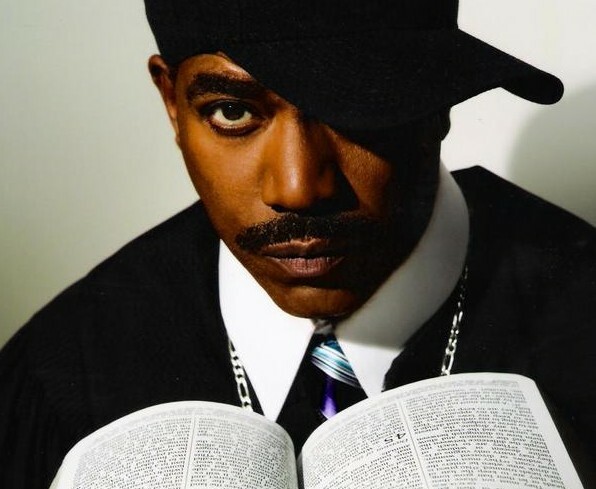 Kurtis Blow’s faith eventually led him to a new career, when he found himself reading the Bible and unable to put the book away. “I got to the last book in the Bible, Revelations, and it’s sort of like a prophecy. And I said I’d better get my act together before all this stuff starts to happen.” Blow became an ordained minister in 2009 and founded Hip Hop Ministry, a movement that incorporates rap into worship. Besides recording, producing and hosting radio shows, Blow speaks out on behalf of a variety of causes. He coordinated the recording of the song “King Holiday” in tribute to Martin Luther King, Jr. He also campaigns against racism and drug use. He will always be credited as one of the biggest influences on rap music. “Rappin’ is totally ours—nothing can take it away,” Blow said in 1980, when rap was still in its infancy. “It’s kinda what we are giving to ourselves.” Kurtis Blow. (2015). The Biography.com website. Retrieved 09:12, Aug 10, 2015, from http://www.biography.com/people/kurtis-blow-5444. 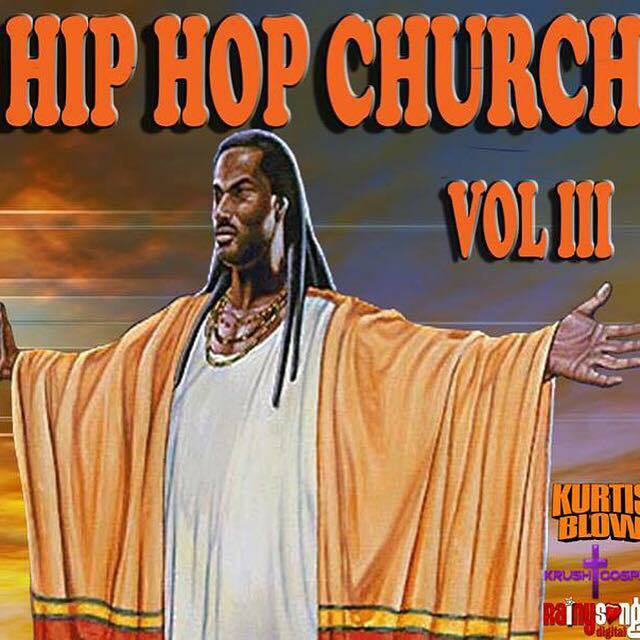 Be sure to check out & support his latest project, “Hip Hop Church, Volume 3” now available on iTunes! What if heaven was only a mile away? If you’re going to be in the Connecticut area August 22nd, come out and see Joseph SD perform live at Washington Park in Bridgeport CT! 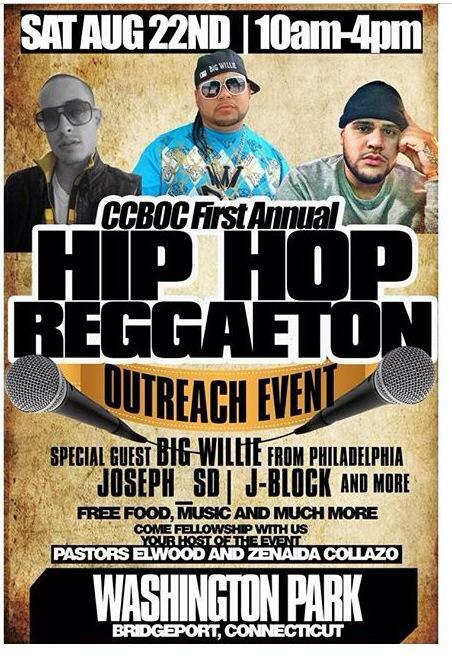 The Christian Community Body of Christ (CCBOC- Pastors Elwood & Zenaida Collazo) will be hosting their first annual Hip-Hop / Reggaeton out reach event. The event will include free food, free music & more! The event will be held from 10am-4pm.